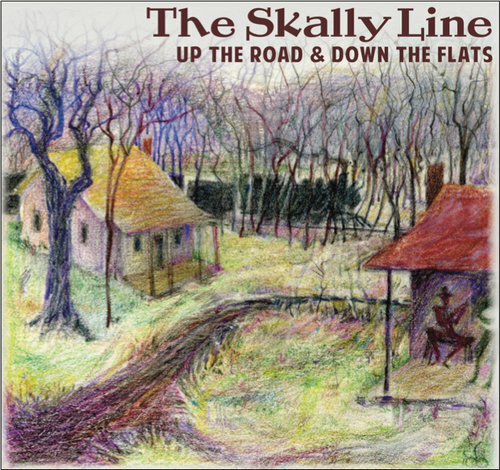 The Skally Line’s 2016 Debut Album! Welcome to The Skally Line’s debut recording! This collection of originals comes right out of the Deep North; tales of Minnesota old and new. If you enjoy listening even half as much as we enjoyed writing and recording, we’ll be over the moon. All songs copyright F. Keller or T. Cornish. Mixed by Dakota Dave Hull at Arabica Studio. Mastered by Miles Hanson with Steve Wiese at Creation Audio, Mpls. Cover Art by Dave Baker, Design by Joe Hart, Soldier’s Grove, WI. Photography by Lori Hamilton & Rob Swanson. Got this from Joan, a friend up in Saskatchewan, Canada. Thanks Joan! From the first sweet notes on the mandolin until the last, this album is toe tappin’ traditional music at it’s best! Now not sure if traditional is the right genre-feel free to substitute that description with whatever fits better. I love this album Fred. It felt like you were here in the room. Made me miss you all over again! Thanks for sending that sweet music! I know I’ll be listening to it a lot. When I got this CD I wasn’t sure what to expect, however it quickly found its home as the default CD in my car, and on my phone for when I’m listening by leg. All the songs are great, however the two songs that I find stick with me the most(i.e. find me whistling them while I walk my dog down the street.) 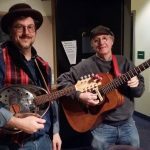 are “Looking for Grace” and “Washed Up on the Flats.” Both beautiful in lyrics, and instrumentals, as well as containing interesting first person perspectives on historical events. So in the style of many an e-bayer from the late 90s, A+++++++++++ would buy from again.